When keeping filter feeding shrimp, like Bamboo Shrimp or Vampire Shrimp, is it very important to keep the water current moving relatively quickly. 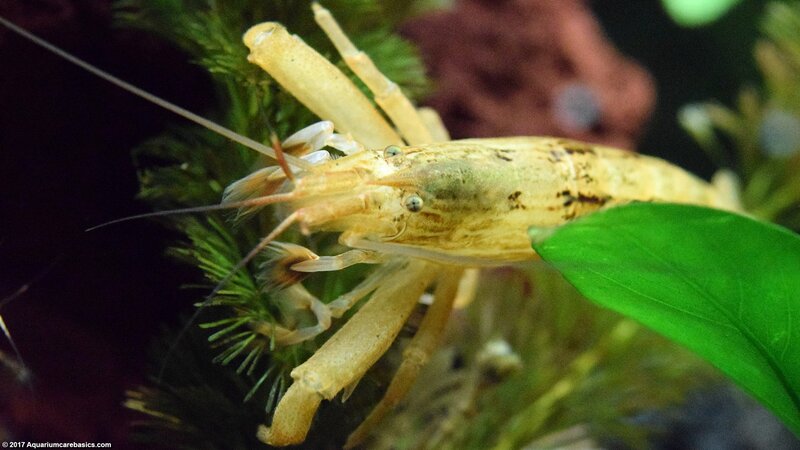 Hobbyists need to make sure there is sufficient movement of floating food particles…such as otherwise uneaten food, edible plant matter or food supplements…to keep the filter feeding shrimp well fed and healthy. HOB power filters and external canister filters are good choices for tanks with filter feeders. They can provide a relatively strong current. And with shrimp tanks, many hobbyists “over filter” a bit. In other words, get a power filter slightly more powerful than what would otherwise be used for the size of the tank…in order to have sufficient water current. Small plastic in-tank filters on the other hand may do the job to keep small tanks for few inhabitants clean, they may not provide sufficient water movement for filter feeders. Also with filter feeders, tanks size considerations are not just about gallons. It’ also about keeping in mind the dimensions of the tank. For example, 20 Gallon High tanks and a 20 Gallon Long tank each contain 20 gallons of water. But a 20 Gallon High tank measures 24 x 12 x 16 and a 20 Gallon Extra High tank measures 20 x 10 x 24, as opposed to a 20 Gallon Long tank which measures 30 x 12 x 12. With the high tanks, it’s more challenging to get sufficient movement of water near the bottom of the tank, so there may be less fast moving floating food for shrimp standing on the gravel. With a 20 Gallon Long tank, the height is only 12 inches, so the current from a slightly over-sized power filter will provide needed water movement near the bottom of the tank. Sometimes filter feeding shrimp get as close to the fastest moving water as possible…getting right into the power filter water return, as seen in the video above. 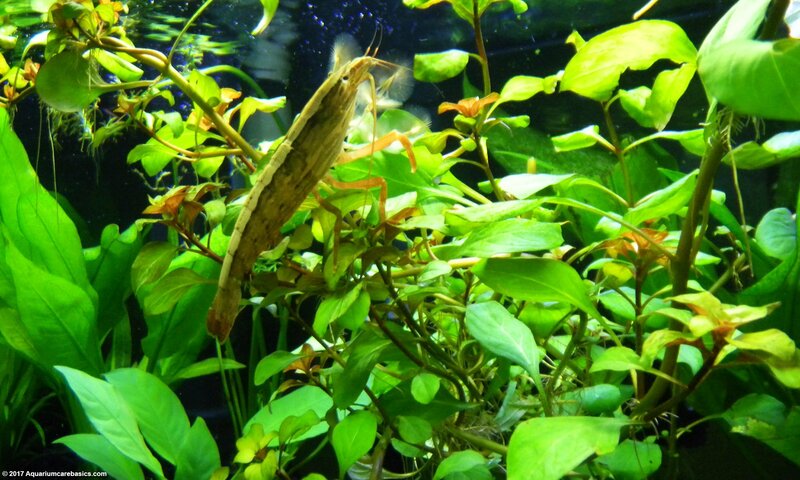 Bamboo Shrimp can stay there for hours. Its fun to watch, but its important to keep an eye on these explorers to make sure they do not accidentally fall out of the tank.